Misa Hayama (Rena Tanaka) works as a freelance writer in Tokyo. Her work and love life are not going very well. 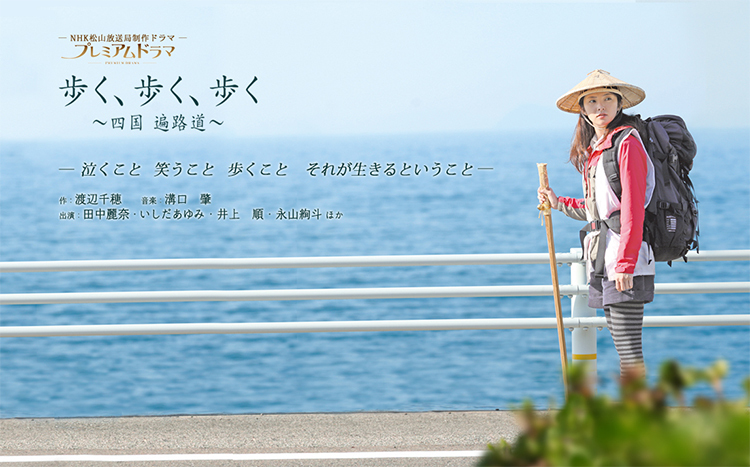 Misa then decides to travel to Shikoku on a pilgrimage. It has been 4 weeks since Misa began her walk, but she still can't find herself. Misa gets to an inn which provides a free bed and meal to those on a pilgrimage. Misa meets the owner Yasuko Kimura (Ayumi Ishida) and two men on pilgramages, Kazuo Goto (Jun Inoue) and Tatsuya Nakamura (Kento Nagayama). Kazuo Goto and Tatsuya Nakamura keep going on pilgrimages to heal their psychological wounds. Misa also doesn't believe what they say and, lies herself, by telling the men that her husband is working abroad. Meanwhile, the inn owner Yasuko Kimura talks with them and also has a secret of her own, which she has never revealed to anyone. Misa happens to know the inn owner's secret.